An overview of the historical, geographical, literary, religious and political context in which the New Testament documents were written and a survey of the message of Jesus, the Gospel writers, the themes of Paul’s letters and those of the other writers whose words laid the foundation of Christian conviction and discipleship. Background Material – 3 hrs. Synoptic Gospels, John and the Message of Jesus -3 hrs. Acts and the Letters of Paul – 3 hrs. General Epistles and Revelation -3 hrs. Upon completion students should be able to describe the milieu into which Jesus came and how this knowledge helps us understand the New Testament. They should know the main themes of all the New Testament documents and how these fit together in the big picture. In order for CCA classes to be more interactive, we're asking everyone to watch these video lectures prepared by the course instructer, Gabe Santos, BEFORE you attend the class. They aren't very long. See you there! 1. A friend says to you, did you know that the books of the NT were just decided on by a group of clerics in the 4th century and that they suppressed a lot of other early Christian writings? Respond to your friend. 2. How does knowledge of the social and historical background to the NT writings affect your view of the Bible and faith? How can this knowledge be used, misused, or overused? 3. Choose any two gospels and discuss how the portrait given in each is both coherent (the same Jesus) and distinctive (different in emphasis). 4. Describe the Jewish world that Jesus entered, the historical and political background, and some social characteristics. What was expected of the Messiah? To what extent did Jesus fulfill expectations? 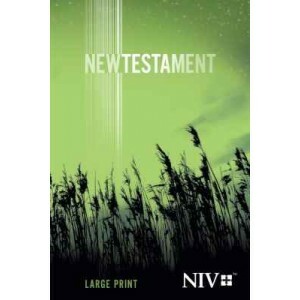 Find the attached file on 100 Useful New Testament Scriptures. You will be responsible for memorizing the basic Topic/Content and Book&Chapter (not the specific verses) of each passage. Click here for the NT Survey Powerpoint Presentations that have been used in past classes.